Our tutors are highly qualified and experienced teachers and teacher trainers (TEFL & CELTA) and share a blend of theoretical perspectives and real-life, practical experience. We work with our partner schools and institutions worldwide and will put successful TEFL graduates in touch with them at the end of the course. The Developing Skills in the Practice of English Language Teaching – TEFL/TESOL is the perfect springboard for your English teaching career! I completed a 60 hour TEFL course at Foyle International. The course was an evening, part-time course and was ideal for me. It was a well-organized, interactive introduction to the world of teaching English as a Foreign Language, taught by professionals who were able to share both their knowledge and experience. I’m glad I did it.  I completed the 60 hour International Certificate in TEFL course at Foyle International. The International Certificate is an excellent and most enjoyable course with a highly qualified and experienced staff providing a wide variety of TEFL Teaching and Learning opportunities and experiences including face-to-face and home/online activities and lessons, practical lesson planning, live and video classroom observations, peer-teaching and actual teaching a class of foreign students. Highly recommended.